What is the Difference Between AMZScout Extension for Chrome and Web App? 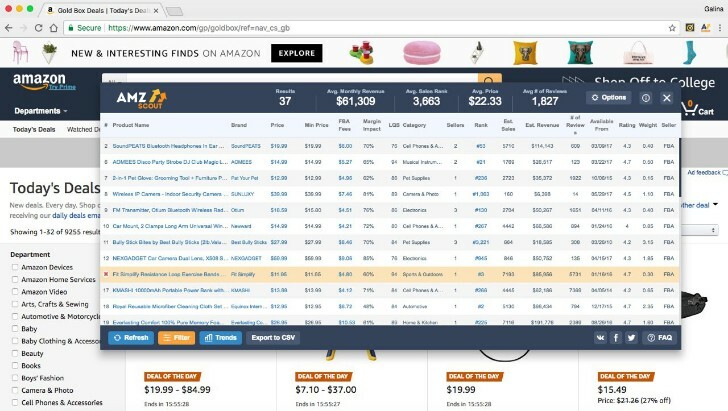 AMZScout helps you develop your Amazon business using automated analytics without any manual research. This is an essential tool for anyone who wants to increase sales or find a profitable market niche. So, what is the difference between AMZScout web application and AMZScout Extension for Chrome? Let us compare AMZScout Basic Extension for Chrome and AMZScout web app Basic. Both these products complement each other, giving you many advantages when using them in conjunction. The extension gives you information about the products from a particular Amazon page. It can be useful to analyze specific Amazon pages. Today’s Deals, Sales, Gift Ideas, and Best Sellers pages are all examples of pages that you can benefit, as a seller, by being analyzed. After the extension is installed, look for a small button in the top right corner of your Google Chrome browser (right of the address bar on your browser). Once you click it, you will see a pop-up window with lots of useful information such as average monthly revenue, average sales rank, average price, etc. The Amazon doesn’t let you sort products by a particular parameter, but with AMZScout you can do that easily and effectively. This small feature makes the extension very useful. AMZScout web app works in the cloud - not on the Amazon platform like the extension. Though the web application and the extension have similar interfaces, they do not have the same functions. The web app includes the Keyword Explorer, Product Database and the Product Tracker. 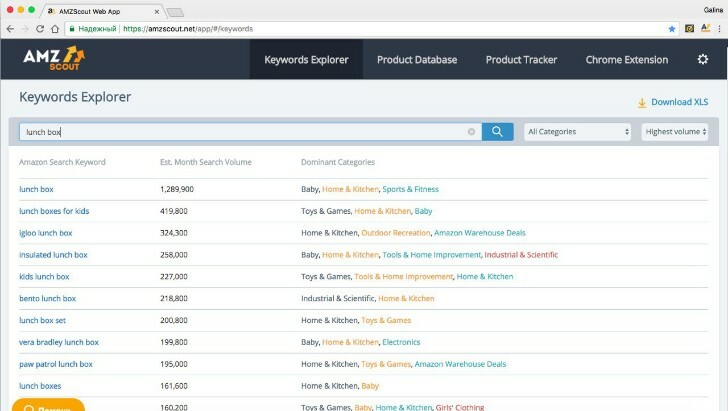 Keywords Explorer allows you to find keywords based on different product categories. Once you choose a particular keyword you will be redirected to the Product Database. It lists relevant products with their details such as price, estimated sales, rating, etc. You can also add any product to the Product Tracker to follow the selling process. The Basic version allows you to track up to 20 different products. It may seem that Product Database provides the same information as the AMZScout Extension, but that is not quite true. The web application has more category filters than the extension. This allows you to customize the way you sort data according to your preferences; Amazon sorts products by rank.